Home / house / Grand Opening Celebration!! Don’t miss out on our Grand Opening Celebration May 24-May 26th! Save 20% off of everything in the store during those three days! 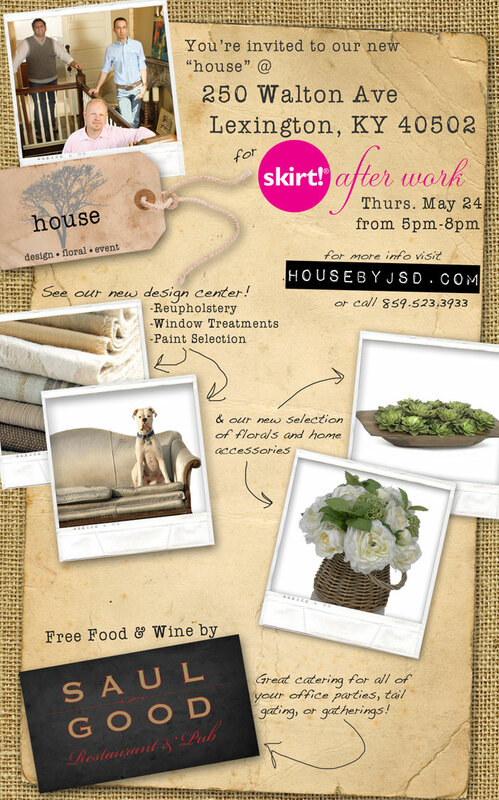 THURSDAY NIGHT: Don’t miss out on our skirt! Magazine after work party! During this evening event, parking is available in our lot, Willis Klein’s, and Ferguson’s! We’ve received in lots of great things in and can’t wait to share them with you! If you are planning on coming to the Thursday night event, please click here to just let us know! We need to get an idea of the # of people coming!